I love to throw football parties. 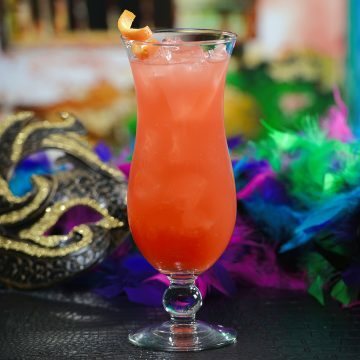 Between the game day decorations, the jello shots and the Super Bowl party food menu, this is definitely one of my most popular parties of the year. 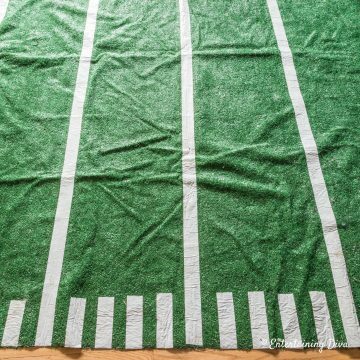 I’ve been hosting an annual super bowl for many years. So many, in fact, that I think my friends would show up at my house even if I didn’t sent out invitations. While many people come to watch the game (and the commercials), the food is definitely one of the most important parts of hosting a successful Super Bowl party. 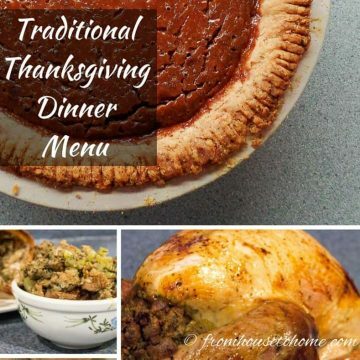 Over the years, I’ve come up with some tried and true recipes that are easy to make and everyone loves. 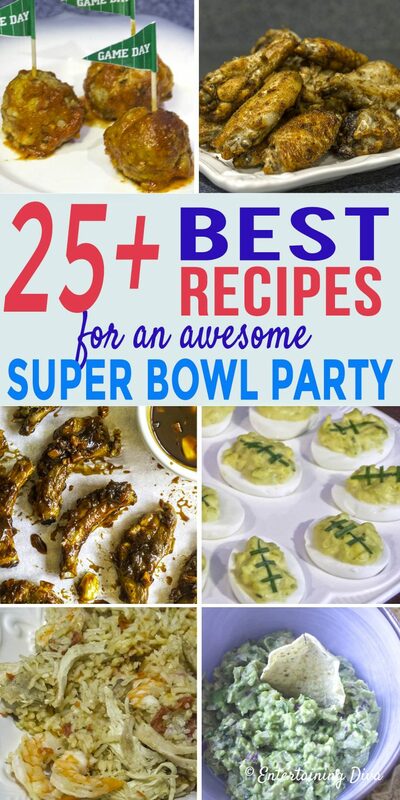 Here are my favorite dishes for my Super Bowl party food menu. Bgs of chips and boxes of crackers are a staple of any Super Bowl party food menu. To go with them, I like to serve at least 2 and usually 3 of these popular game day party dips. At all of my football parties, I try to have some appetizers out and available for the early birds (those people who get to my house before the party starts). That way they have something to nibble on while I’m finishing up the rest of the food. Here are my favorite Super Bowl party appetizers. 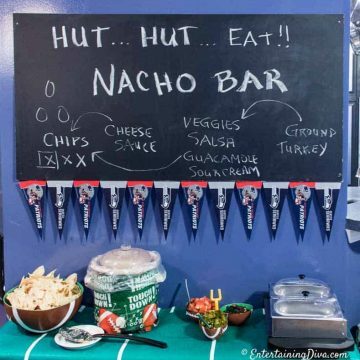 Help Yourself Nacho Bar – To make these self-serve, I put all of the toppings, the meat and some cheese dip (from above) out on a table with the nacho chips. Then everyone can make their own nacho plates with whatever toppings they like. Football Deviled Eggs – In other words, deviled eggs with green onions placed across the top to look like the laces on a football. Shrimp With Cocktail Sauce – Rather than serving the shrimp in individual dishes, I put some ice cubes on a plate and pile the shrimp up on top. Then put out the cocktail sauce in a bowl that people can help themselves to. 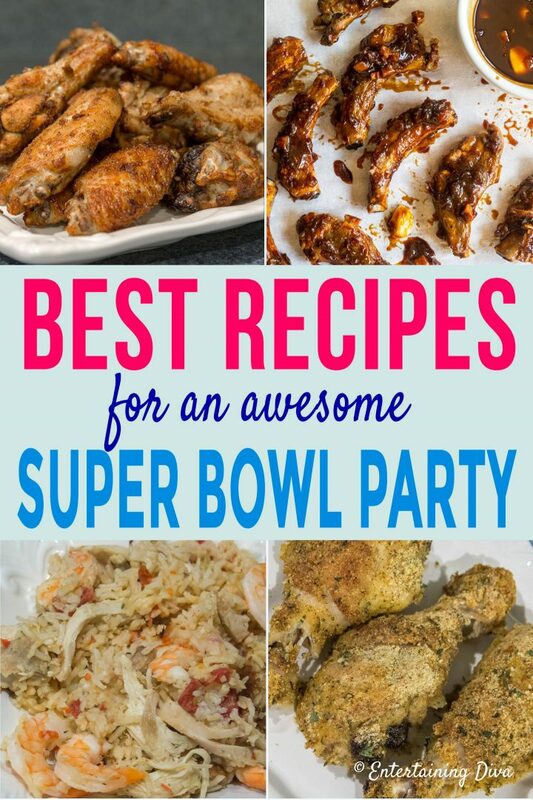 These main dishes are the Super Bowl party food menu items that all of my friends ask for if I don’t serve them. Especially the drumsticks and the ribs. 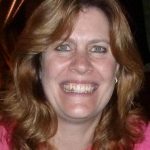 (They really are the best ribs and chicken recipes ever!) I think there would be food mutiny if I didn’t serve them. Oven Fried Drumsticks – While these taste like fried chicken (even better if you ask me), they’re not…which actually makes them a healthier option for football party food. Fall Off The Bone Ribs – Literally the best rib recipe I have ever tried! Crock Pot No Bean Chili – Around here, everyone loves to eat this no bean chili on hot dogs. But it tastes really good on its own, too. Chicken, Shrimp and Sausage Jambalaya – While this isn’t traditional game food in most places, jambalaya is a really football party recipe. It makes a lot, is easy to serve and tastes great with beer. These game day party sides are all great plate fillers to go with the main dishes. People love them, and there are even a couple of healthy options in the bunch. Grilled Asparagus – I told you there was a healthy option! Crock Pot Sweet Potato Casserole – Because it wouldn’t be a get-together in the south without sweet potato casserole. Caesar Salad – To make this easy, I buy a couple of the Caesar salad kits from the grocery store. That way I can get one of my friends to throw it together while I’m busy getting the rest of the food out on the buffet. Since I always serve food buffet-style at my Super Bowl parties, I like desserts that come in individual portions, like brownies, cookies and cupcakes. It’s just so much easier for people to help themselves. I only have one go-to party drink for football parties and that’s jello shots. Because they’re the easiest thing to make in team colors. So I always make the jello shots to match the colors of whatever teams are playing. You can find all of my favorite jello shot recipes by color HERE. 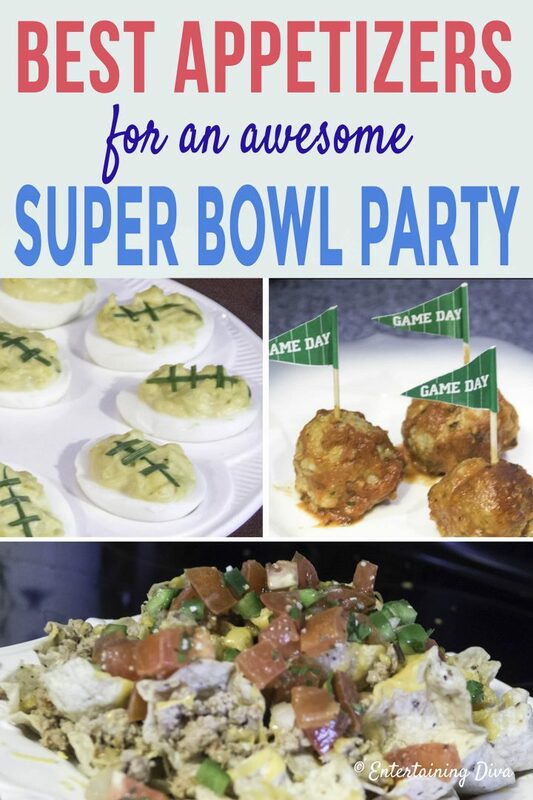 Have comments or questions on our Super Bowl Party Food Menu? Tell us in the section below.